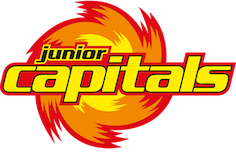 Starzone Sports is proud to be selected as EAC Junior Capitals skills development partner. One week a month Starzone will be present in Austria doing detailed skills training with players from U10 to U18. This includes being part of the Academy team providing high end training for the Academy players. Starzone will also be a long-term partner for development of the EAC Junior Capitals youth program and organization providing knowledge and experience in how to build the most efficient organization and program. In a comment Starzone Sports CEO Thomas Eriksson says, we are very proud to be the selected partner to one of the most ambitious youth and junior clubs in mid Europe and have the possibility to work with long-term development. The contract with EAC Junior Capitals shows then strength in Starzones concept of providing high end training together with structure and development knowledge.